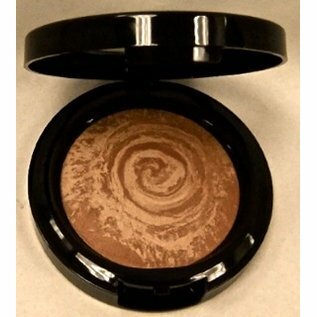 Powder Baked Bronze Finishing Powder - Carol Thompson Images, Inc.
What It Is Featherlight, sheer baked finishing powder. Tames shine and imparts a subtle radiance and polished luminosity. Available in matte and satin finishes. Paraben-free. What's Inside Jet milled pigments create an airbrushed effect. 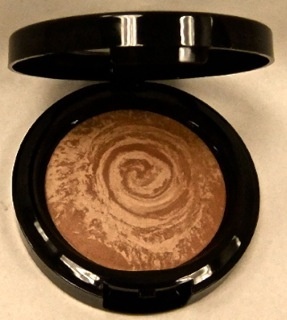 How To Use Swirl brush onto powder and tap off excess. Apply all over face starting on cheeks and highlighting forehead, nose and chin. May be worn over foundation. Talc, Tricaprylin, Caprylic/Capric Triglyceride, Magnesium Aluminum Silicate, HDI/Trimethylol Hexyllactone Crosspolymer, Jojoba Esters, Olive Glycerides, Dimethicone, Calcium Silicate, Silica, Aluminum Hydroxide, Sodium Hyaluronate, Nylon 12, Polyamide-5, Ceramide 3, Phenoxyethanol, Caprylyl Glycol, Hexylene Glycol, May Also Contain: Polyethylene Terephthalate, Acrylates Copolymer, Calcium Aluminum Borosilicate, Calcium Sodium Borosilicate, Synthetic Fluorphlogopite, Tin Oxide. May Contain (+/-): Mica, Iron Oxides (CI 77491, CI 77492, CI 77499), Titanium Dioxide (CI 77891), Ultramarines (CI 77007), Manganese Violet (CI 77742), Carmine (CI 75470), Bismuth Oxychloride (CI 77163), Red 6 (CI 15850), Red 7 Lake (CI 15850), Red 27 Lake (CI 45410), Yellow 5 Lake (CI 19140), Yellow 6 Lake (CI 15985), Blue 1 Lake (CI 42090).